Ethiopian Horticulture Producer Exporters Association (EHPEA) is a business membership organization which is established in 2002. It is a not-for-profit organization meant to promote the interest of its members which are engaged in the production and export of flowers, vegetables, fruits, herbs, and cuttings. Currently, EHPEA registered members have reached 119, and it is contributing to the horticulture industry boom in Ethiopia and also effectively representing the interests of its members operating locally and globally. 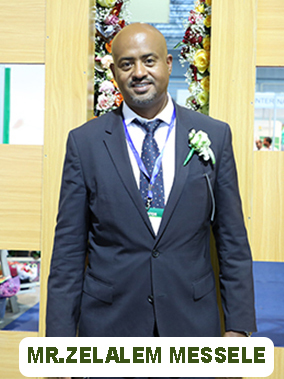 To promote and safeguard the competitive position of the Ethiopian horticulture sector in the global market. Obtaining a world class status in the international network of associations. I am a farmer engaged in flower production. I am among the many that produce a flower in Ethiopia for the global market. Our association EHPEA was established in 2002 by five companion growers having the mission of contributing to the nation’s economic development in parallel to address the sector actors’ mutual concern in the horticulture production and marketing strives. The association has worked tirelessly to develop the sector and to address the challenges with local and global stakeholders. Today members of the association have grown in number and have become diversified. Our vision is creating a world-class horticulture industry in Ethiopia, and I believe we are on the right path.